Today is a special day for Girl Scouts in Washington, DC! This morning, the White House is hosting an event to honor “Champions of Change”—girls and young women who have done innovative, educational, and constructive things to empower their communities. From over 1,000 nominations of young women across the United States, only 11 girls were selected as true Champions of Change, and we are excited to announce that Girl Scouts’ very own Katie Prior of Girl Scouts of Western Oklahoma was among them! Katie is the youngest of the national Champions. 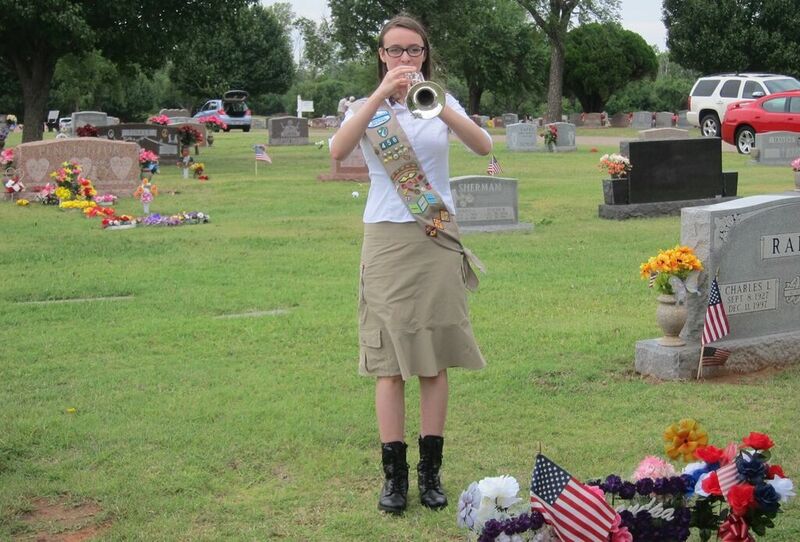 A current Girl Scout and Gold Award recipient, who founded the Youth Trumpet and Taps Corps, which allows high school trumpet players to volunteer to pay tribute to local military veterans with live performances of “Taps” at their funeral. 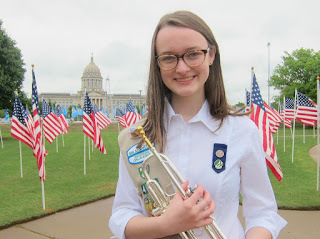 Katie is taking her vision to the national stage by coordinating youth to serve communities in Colorado, Illinois, Oklahoma, Texas, and Wisconsin. Katie and her fellow “Champions” will be honored during a ceremony at the White House today, which you can tune into here. You can also share your own courageous leadership stories and tell the world how you have made a difference in your community by posting on StoryCorps. Then inspire others by tweeting your story using the hashtags #WHChamps and #ImagineHer. Girl Scouts of the USA is very proud of and excited for Katie, who is an inspiration to girls everywhere, and a shining example of how girls can change the world forever—starting in their own backyards! Congratulations to Katie, and to all of the “Champions of Change”!